In June 2016, around 150 Russian hooligans charged a group of England fans in a square of Marseille. In a savage and brutal rampage, multiple Brits were left injured. Shortly after, Feduk, a Russian rapper and a notorious fan of football hooliganism, which Russians somewhat ironically call okolofutbola (literally, “around/surrounding football”), released a track entitled ‘Tour de France’ glorifying the event. The British press, in contrast, lambasted the football authorities for allowing this to happen and expressed concern about the 2018 World Cup in Russia. The Telegraph even interviewed some members of the attackers, who saw themselves as the counter-force to the English, whom they perceived as their natural enemy in the football hooligan world. Understanding this view requires an understanding of Russian football hooliganism’s complex history which is tied to our own (now nigh-on taboo) past of sporting violence. To trace this tale, we need to go back to the early Brezhnev era, when the young stilyagi (basically hipsters) were listening to punk, and footballers who travelled abroad were smuggling vinyl back to Russia in their suitcases to make an extra rouble or two. Particularly relevant and impressive in describing this period is Vladimir Kozlov’s book Fanaty, tracing the history of hooliganism through interviews with former participants in hooligan acts. We learn that these were youths, in some cases who also identified with stilyagi culture, and were drawn to football for a complex set of reasons. Crucial to this was the USSR top league’s accessibility to the average citizen, due to the increase in televised games after the spread of TV from the mid-1960s. Despite television ownership being limited and mainly confined to the major cities, it provided a window to enjoy professional football and was a contributing factor in football’s growth in popularity, shown by the trend of rising attendances at matches from 1965-1980. Unintentionally, however, watching football exposed Soviet citizens to the hooliganism already present in the European game, culminating in the 1972 Cup Winners’ Cup final between Glasgow Rangers and Dynamo Moscow. Soviet fans witnessed a pitch invasion and violence on the part of the Rangers fans, which halted the game and swung the momentum in favour of the Scottish side as Dynamo pressed for an equaliser in the dying moments of the encounter. The club, fans and players never got over the injustice of nearly completing one of the greatest comebacks in European footballing history. But, as the underbelly of European football beamed into Soviet living rooms, Russian youths saw rebellion, escapism and camaraderie in creating their own. The early hooligan gangs sprung up in the late 1960s and early 1970s. Dynamo Moscow were early on the scene, officially organising in 1972, while Spartak’s supporters coalesced in 1979. These fans styled themselves as hooligans through banners at matches, synchronised chanting and clothing, dominating particular areas of stadia, and violence and intimidation towards opposition fans, players and match officials. By the end of the 1970s, riots on matchdays – particularly on the common Moscow derby-days between CSKA, Dynamo, Spartak and Lokomotiv – were common. Kozlov’s interviewees proudly describe the carnage they wrought as their numbers swelled into an uncontrollable mob down Pushkinskaya ulitsa. The appeal of hooliganism wasn’t limited to the big clubs at the pinnacle of Russian and European football. A local club, Avtomobilst, had fans who on one occasion in 1972, caused a match to be abandoned because of a pitch invasion and vicious attacks on the referee and opposition coach. A unique feature of Russian football has always been the irrelevance of geography to football fans’ chosen clubs. Where in Western Europe we associate football with a distinct community drawn primarily along geographic lines, in the USSR and modern Russia fans congregated based on profession, the most obvious case being Lokomotiv, the club of the railway workers, whose fans still refer to the team as ‘the railwaymen’. There were many affiliated ‘Lokomotiv’ clubs across the USSR, and remnants of it exist today: Lokomotiv Minsk are one of many Lokomotivs still competing. This meant that Russian hooliganism had a framework through which to spread rapidly, and clear lines along which fans divided. In their style and intent, the hooligans individually and collectively modelled themselves along British hooligan lines. Kozlov’s interviewees attest to their dress being taken from British punk fashion and their chants and paraphernalia deliberately resembling British teams. Like the British hooligans of the 1970s, the Russians created a sense of ‘honour’ associated with their club, which incorporated elements of masculine aggression and veneration of bravery, expressed by violence towards, overwhelmingly, other hooligan gangs. The reasons for this were clear: British football hooligans were the most feared, and therefore respected, hooligans. The Russian fans were acutely aware of the foreign influence on their activities, as many Soviet youth subcultures were, and this placed them in a broader European arena for their actions and style. The Soviet hooligans weren’t blind copycats, however: their acts occurred in an entirely different political context from the British. Successive Soviet leaders suppressed dissent and disorder, in different ways and to different extents. Surprisingly, however, the authorities were slow to react to the violence and antisocial behaviour of the football fans. According to one of Kozlov’s interviewees, ‘Batya’, the police were often outnumbered, shocked and didn’t possess the required capabilities to manage the crowds. They ended up being on the receiving end of as much violence as the opposition hooligans, although the reasons for this were less political and more incidental – few hooligans, at least according to Kozlov’s book, intended to make a political message by attacking the police. British hooliganism, surprisingly, was more directed at the authorities than in Russia. Possibly for this reason, accusations of hooliganism made an effective scapegoat in the cover-up of the catastrophic handling of football crowds in the Hillsborough disaster of 1989. The case remains close to footballing hearts due to the public blame-game against the deceased and their families, which implicated members of the police force and the media. The growth of Russian football hooligan gangs was inspired by their British counterparts, whose escapades during the 1960s and 70s began to come under the microscope of Soviet fans. Over time, Russian football hooliganism developed its own distinct iconography and identity. Violence in any capacity is not tolerable, but the increasing infiltration of right-wing and racist ideologies into much of Russian football hooliganism has lent it an even more sinister image. As the balaclava-ed Russian “ultras” charged at the Brits in 2016, what was happening was not just a group of crazed criminals going on a rampage, but the culmination of forty years of Russian hooligan history: finally, the English were dethroned, and there were new hooligans to admire. The Russian hooligan’s mission was complete. 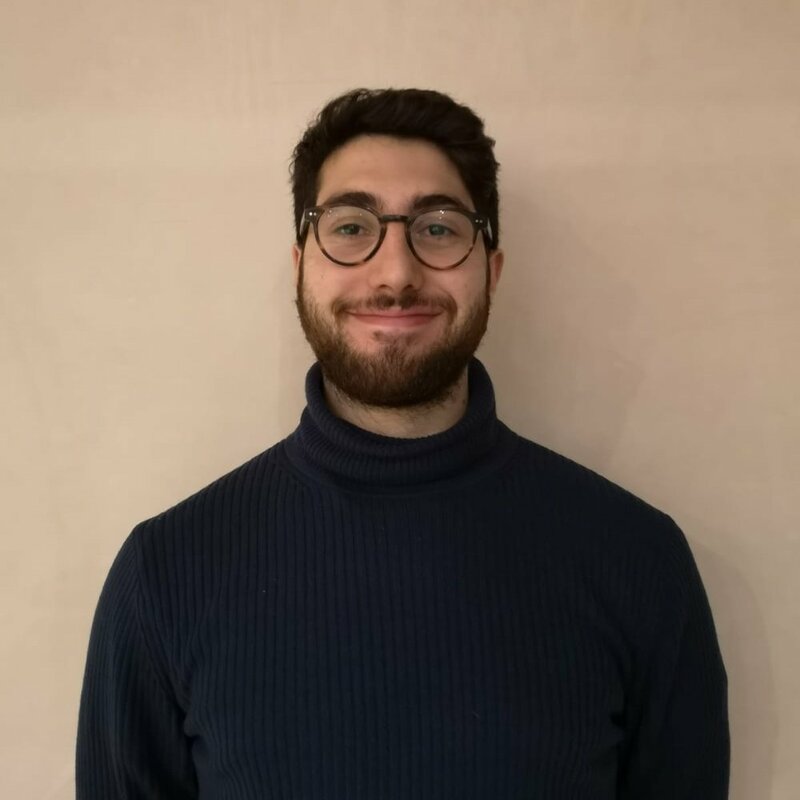 I'm Avram Altay Liebenau, I've been studying Russian since I was 15 and am in my final year studying BA Russian and History at University College London. I enjoy writing about varying topics, from financial history to football hooliganism. Avram can be reached at avram.liebenau@gmail.com.